I’ve always had a ‘sweet tooth’ and the softer the sweet the better – toffee, marshmallows, chocolate, jelly babies, jelly beans, fruit pastilles, fudge, liquorice allsorts and macaroon are all on my list of favourites. In terms of desserts, I love those too – ice cream, cheese cake, meringue, cake, sponge with custard, the list is endless. And of course a hot drink isn’t complete without a biscuit (or three….). Don’t get me wrong, I’m not stuffing my face with sweet stuff 24/7, however I do need my sugar ‘fix’ now and then. I’m not a large person, I’m small ‘framed’ and although I was starting to look a bit ‘chubby’ early 2010, my Neuroendocrine Cancer diagnosis and subsequent treatment took care of that. Coping with cancer is hard and it can lead to certain lifestyle changes including diet. This is also hard! Coping with the amount of available and contradictory dietary information on cancer is challenging too! There is also significant ‘chatter’ suggesting that sugar ‘fuels’ cancer cells. Apparently there are more than one million websites capitalising on this fear but virtually none offering any science. However, if you check reputable websites such as the main US and UK research agencies, you will see this link has not been scientifically proven and this claim is debunked on many reputable cancer websites in their lists of ‘cancer myths’. Of course the situation is not helped by the wide circulation of these myths by the misinformed via social media – we’ve all seen these haven’t we? I’m not saying that sugar is a good thing but like many other facets of modern lifestyle, too much of a good thing won’t be good for long. The last thing any cancer patient wants is (yet) another debilitating or long-term chronic illness, something always in the back of my mind. I now watch what I eat although I try to keep a balance so that I can still enjoy some of my favourite foods – my food diary helps identify the ‘culprits’. I had actually cut down on sugar before I was diagnosed, it’s addictive so it can be hard work! So are sweets dangerous for a Neuroendocrine cancer patient? Like a lot of other things, in moderation they probably don’t do any harm but that’s based on my own experience. The amount of specific amines in foods can be a useful guide to how much you eat. Please note not everyone has bad reactions and foods high in these amines do not fuel tumour growth! Moreover, the only time you should really avoid these high amine foods is just prior to a 5HIAA test (unless you have a consistently bad reaction to them of course). 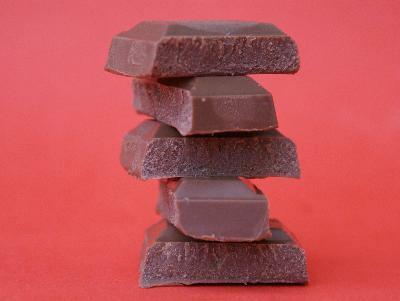 Chocolate is said to be “moderately high” in tyramine, dopamine, xanthenes and theobromine. One size doesn’t fit all though and NET nutrition guides emphasise the amount will often matter more than the food itself. I will therefore continue to eat small amounts 😃 If you want to learn more about NET nutrition – read here. I think sweeet stuff is more dangerous for those at risk of diabetes more than any potential syndrome effect. Read more about Diabetes and NETs by clicking here. Let me complete the blog with a recent personal incident regarding chocolate indicating there is a dark side to it (no pun intended!). I cracked a tooth whilst eating a piece of chocolate in 2014. I never found the broken piece so I assumed I’d swallowed it. I kept a lookout for a few days but no sign and I presumed I just missed it. However, 32 days later, my regular surveillance CT scan revealed an “ingested foreign body or ‘entrolith’ within a loop of the small bowel”. A bit of a worry given the amount of surgery I’ve had. My Consultant said it would eventually work its way out of the body naturally and it did. Phew!